Accusing people of gaslighting is very hot right now, so Johnny Depp’s lawyer, Adam Waldman, has decided to join in on the latest linguistic trend in his most recent public statement. 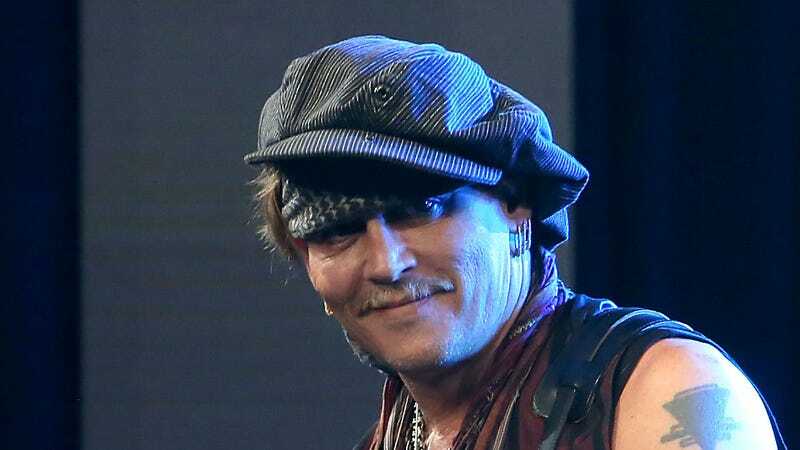 Depp made headlines earlier this week when his former business team (whom he recently filed a lawsuit against) sued him for “more than $560,000 in allegedly unpaid commissions and credit card fees.” People reports they accused Depp of being wildly irresponsible with his money, claiming he overspends on everything from his 14 homes to wine. My man, we didn’t need TMG (whoever they even are) to gaslight us into thinking Depp’s life is a mess. He did that to himself. Lea Michele had an EXCLUSIVE chat with People this week because she wanted to discuss her “revealing” new album, which is every tabloid’s second favorite Lea Michele activity after “mourning.” But before getting to how “personal” and “important” her album is, she felt compelled to talk about Taylor Swift. Why did she tell this story about casually discussing her emotional connection to the liner notes of a five-year-old album with Emma Roberts, and why did People publish it? Maybe Michele’s hoping to get some of that sweet sweet Swiftian IG promo, or maybe she wants to join her squad (it’s not worth it in 2017, Lea! )—but whatever the reasoning, I hate it. Few headlines are as immediately recognizable as Celebitchy’s. This could be from no other website.